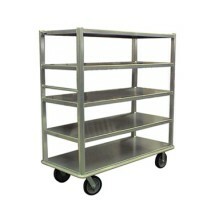 Banquet carts feature a large volume capacity that can be of great service to catering and other foodservice operations. 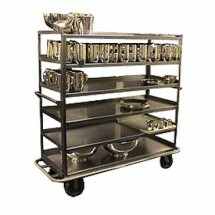 Banquet carts boast up to 5 shelves that can easily fit many dishes. 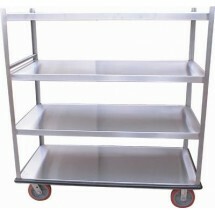 trays and platters when serving meals. 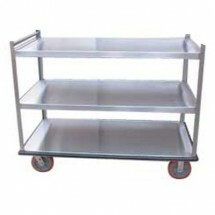 They can also can help with quicker clean up by transporting loads of dish boxes and silverware bins back to the kitchen at the end of the meal. 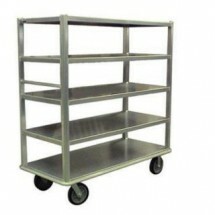 We carry top brands Carter-Hoffman, Win-Holt and Crescor banquet carts, that are sturdy, easy to maneuver and simple to clean at the end of the day. 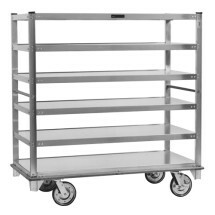 Carter-Hoffmann T600 Queen Mary Stainless Steel China / Silver Transporter, 6 Shelves Sold As: 1 ea You're pre-approved for a cash advance! 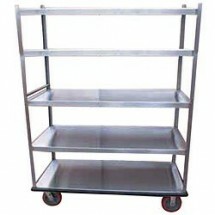 Carter-Hoffmann T610 Queen Mary Stainless Steel China / Silver Transporter, 6 Shelves, 67-3/4"L Sold As: 1 ea You're pre-approved for a cash advance! 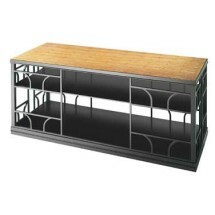 Carter-Hoffmann T660 Queen Mary Stainless Steel China / Silver Transporter, 6 Shelves, 74"L Sold As: 1 ea You're pre-approved for a cash advance!